[ Style Details ] A line style, high waisted design. Secret's out babe! 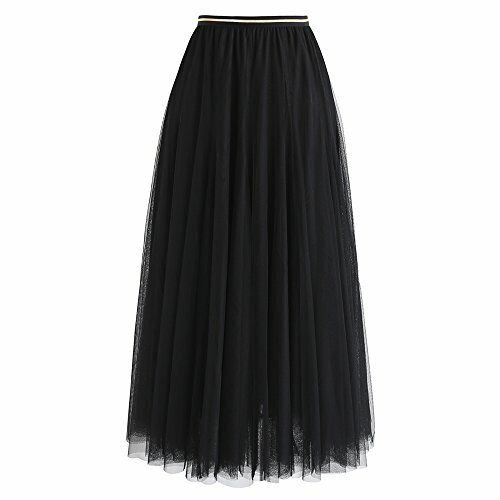 A tulle maxi skirt is the easiest way to deliver an effortless slay this season. Tuck a fun graphic tee in and throw on a leather jacket over it to give the angelic look a little edge. [ Size details ] Please check the size details before ordering ---------------* S/M fits great to 25-27 inches waist/ US2-6. ---------------* L fits great to 27-33 inches waist/ US 8-13.